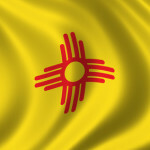 The combined requirements of the New Mexico Human Services Department and federal regulations mandate that CNA classes in New Mexico consist of at least 75 total hours of instruction. This includes a minimum of 16 hours of hands-on clinical training. For full-time students, these hours can typically be completed in 6 to 12 weeks. Gaining acceptance into an accredited program requires applicants to have either a high school diploma or GED, pass a criminal background check, and be at least 18 years of age. Upon completion of their training programs, students have a total of 24 months in which to take the NNAAP or other state-sanctioned certification exam. Test takers must pass both halves of the exam (multiple-choice and clinical skills demonstration) in order to receive an overall passing score and become certified. Eligibility to work as a CNA in the state additionally requires the person to be listed in the New Mexico Nurse Aide Registry. Demand for nurses aides in local health care facilities is highest in the state’s capital and largest city so CNA classes in New Mexico are mainly offered in Santa Fe and Albuquerque.